He just kept coming back all morning. We'd look out at the salt lick and he was there, then gone several times. At one point I went out to the bird feeder to add some craisins to it and I look up and there he is walking out of the forest, straight for the meadow -- and for me! 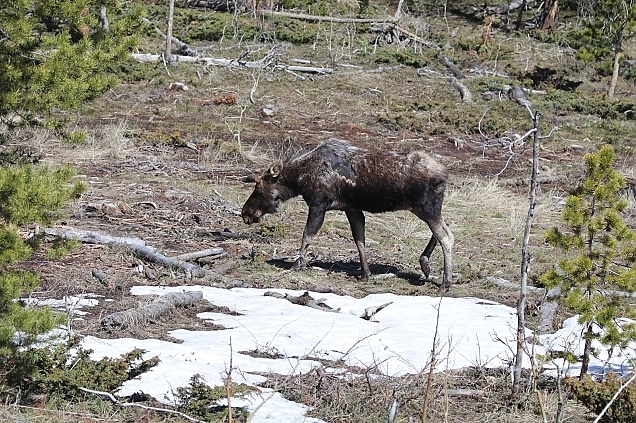 I just walked slowly back to the cabin and he walked into the meadow. He doesn't seem to be bothered by us at all. 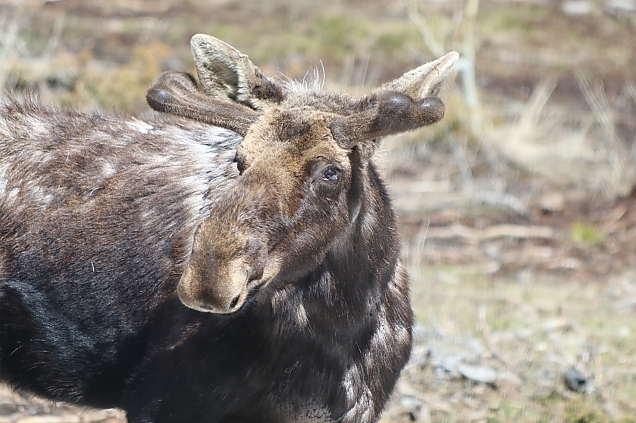 Now we are certain that this is the same young bull moose that visited us last year. He thinks of this as his home, obviously, so I guess we've adopted a moose. Names anyone? Should we have a poll? He wandered over to the stump where we had a mineral block last year and licked it for a while. I guess we need a new one when we go into town tomorrow. 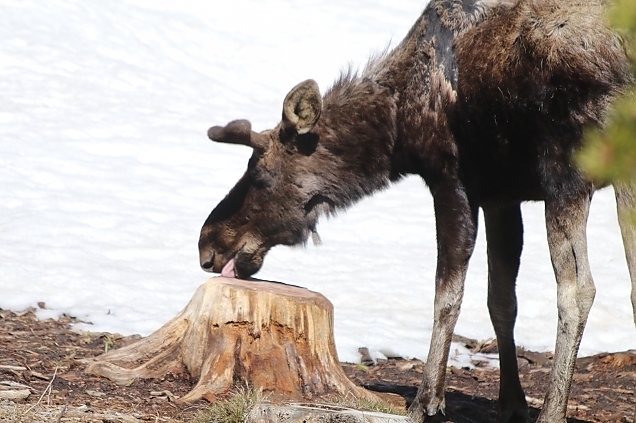 After checking out the stump and finding nothing much there he walked back over to the salt lick and laid down, still licking. We finally gave up waiting for him to leave and took the girls out on leads in the opposite direction and went for a walk. Once away from the cabin area we let them off for some much needed excercise.